A weblog dedicated to the world's greatest secret agent – James Bond. 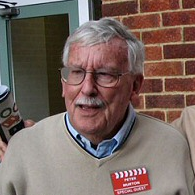 Cinema Retro has reported that acclaimed production designer Peter Murton passed away just before Christmas 2009. Murton worked on the earlier Bond films, such as “Goldfinger” and “Thunderball”, and later became the art director for “The Man With the Golden Gun”. Murton was also the art director for Stanley Kubrick’s Cold War satire, “Dr. Strangelove or: How I Learned to Stop Worrying and Love the Bomb” in 1964. Another great artist has passed on. Condolences go out to the family of Mr. Murton.